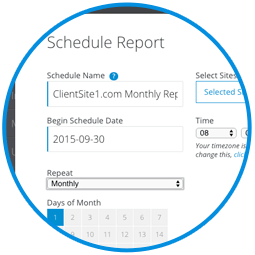 Detailed reports are one of the best ways to show clients the value of a monthly WordPress maintenance plan. 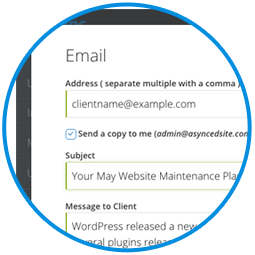 Sync Pro's WordPress Maintenance Reports handle the hard work of compiling all the update actions you took, so you can justify the value of what you do. 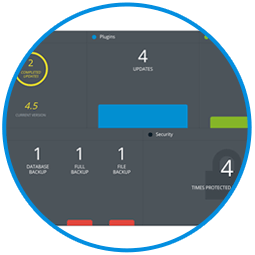 Sync Pro Reports include all update actions made to WordPress core, theme & plugins within a certain timeframe, both from the Sync dashboard and the WordPress dashboard. 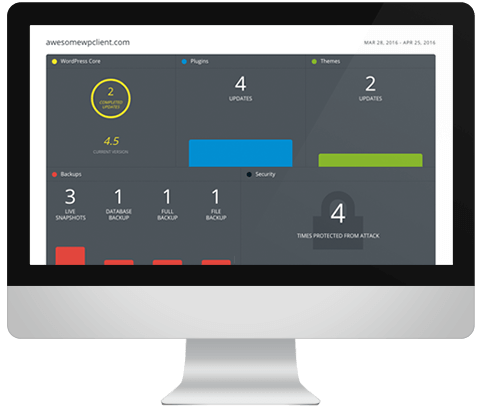 Reports are delivered as beautiful, interactive HTML reports so clients can get a visual summary of the WordPress maintenance you provide. Reports can run on a daily, weekly or monthly basis, and then automatically email reports to clients. 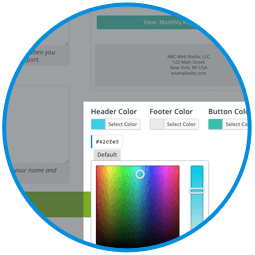 Set custom colors for the header, footer and button color of report emails to better match your company’s branding. 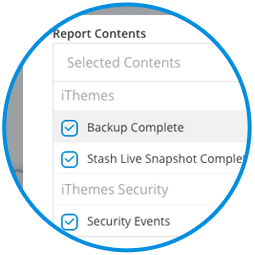 Include BackupBuddy & iThemes Security actions to highlight important backup and security measures taken on your client sites. Sync Pro Plans include all Sync Basic features (including these latest feature additions) in addition to more Pro features we'll be rolling out in the weeks to come. Sync plans cannot be combined. If you have the 10-site plan and upgrade to the 25-site plan, you can manage up to 25 total sites, not a combined 35 sites. If you have questions about Sync plans or need more than 100 sites, contact us here.